Stephen Aaron Grey’s Ant Farm addresses issues like the current global economic crisis, gun control, drug prohibition, measures towards national security – and a host of others – in its own unique way that is sure to attract attention as a new classic. 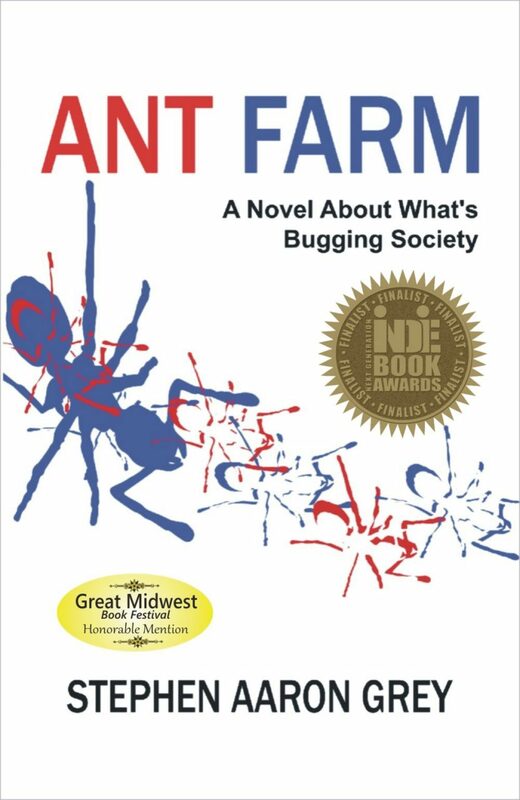 Ruled by the evil White cockroaches, on an oppressive plantation, Anton Indigo, Antrea Violet, and a thousand other ants escape to seek freedom on Ant Farm. When they arrive, although their lives are not utopian, the tiny insects find themselves with much more freedom and prosperity than ever before. Can the ants maintain this positive new lifestyle? Or will some of the more power-hungry bugs prevail, and deteriorate the new society into the same nightmare from which they escaped in the first place? A tribute to a George Orwell classic, and simultaneously a nod to those who pursue liberty across the globe, Stephen Aaron Grey’s Ant Farm addresses issues like the current global economic crisis, gun control, drug prohibition, measures towards national security – and a host of others – in its own unique way that is sure to attract attention as a new classic.